I’ve been working on a gallery wall for our master bedroom for nearly a year now. That’s a long time and way longer than necessary but ending up with a wall of pieces that I love was worth the time. Like most gallery walls, it started with a piece of artwork or two that were great on their own but had no real place in our house. Since our master bedroom has a very large wall it was the ideal spot to get started with these prints. 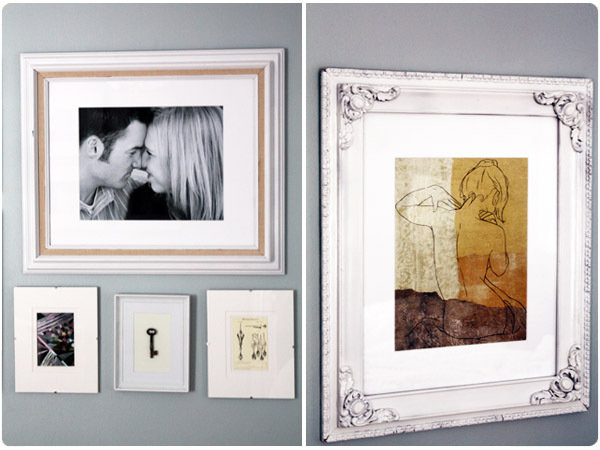 The beauty of gallery walls is that you can do them a billion different ways, mixing and matching frame shapes & sizes or sticking with a consistent style. I wanted a mix of new and vintage frames for a look that seemed to be acquired over time (which it turned out to be!) but was unified by color. I spray painted two intricate empty frames found at flea markets and an old frame of my husband’s with white spray paint to use as my large foundation pieces. 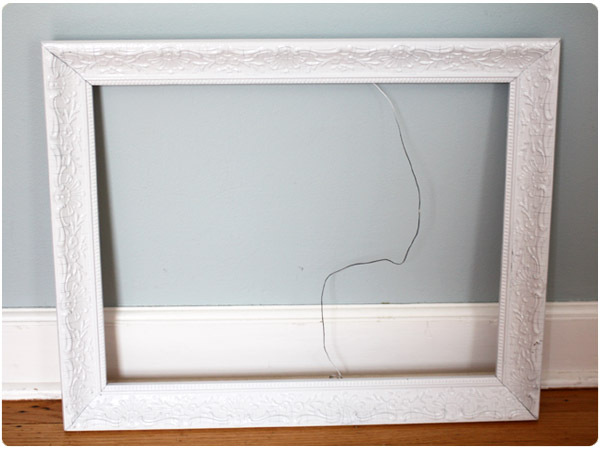 The three empty frames didn’t have glass or backings so I bought framing glass at Michael’s. You can ask the framing counter there to cut glass down to size for you as needed for a nominal fee. 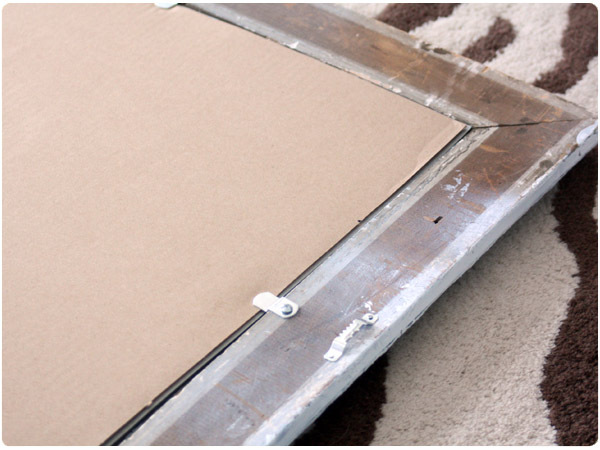 Since no one will see the backs of the frames you don’t have to spend the money to professionally back them. I just attached a hanging hook and 1/8″ offset clips to keep the cardboard and glass backing in place. I’d recommend affixing these items while the frame is empty so you don’t break the glass when you apply pressure….which I may or may not have done! Once you have all your pieces, try a test arrangement before you start banging holes into your wall. 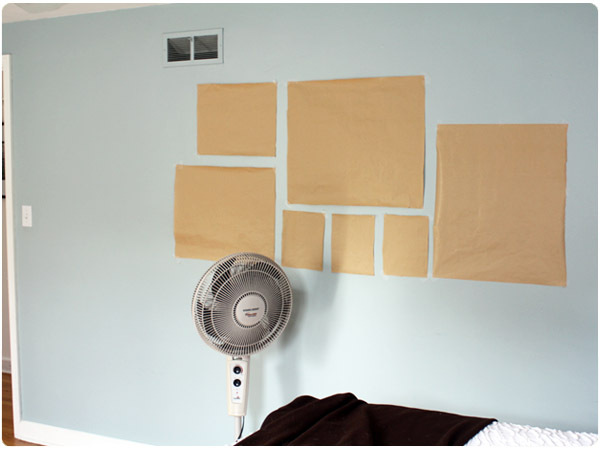 Somewhere in the past I had seen someone suggest mocking up a gallery with paper before you start. I traced the outside of each of my frames onto plain kraft paper and played with arrangements on the wall until I found the right placement and then left it up for awhile to be sure I liked it. Finally, we hung them! Be sure to use a level when you’re hanging since it can be really obvious if something is off when you have multiple pieces that are straight. ps. I loved the variety of items that you framed. 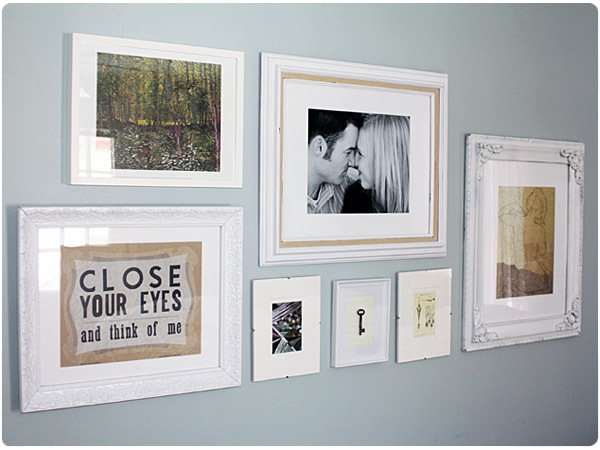 Thanks for linking up your gallery wall! Love the ideas you shared! !